Eye injuries should not be taken lightly, and need to be treated right away to prevent any further damage to eyesight. 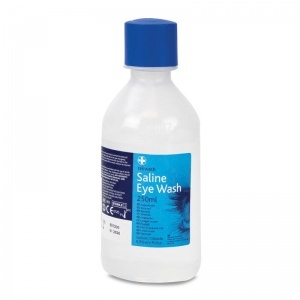 When stocks run low in your first aid kit, use the Saline Eye Washes as a safe, non-toxic replacement when materials are used up, to ensure that your workplace is always prepared in case of emergency. 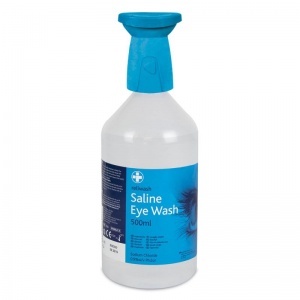 The Health and Safety Executive (HSE) suggests that all kits and eye wash stations need to be adequate and appropriate in the circumstances. You can do this by performing an assessment of needs on each area of the workplace, and then also by assuring that you have back-up supplies on hand for immediate replenishment of supplies. 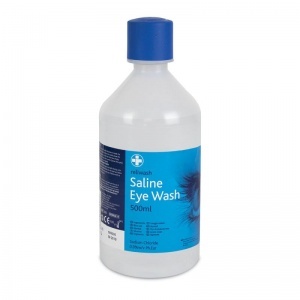 The saline solution contains sodium chloride 0.9%w/v to ensure clean and safe flushing of the eyes when they come into contact with corrosive substances. 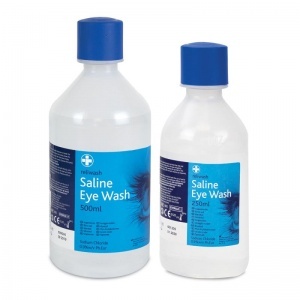 Theses Saline Eye Washes come in a variety of sizes depending on the needs of your site and severity of the injury. 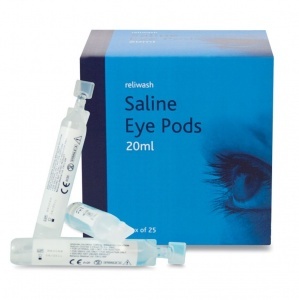 Choose from what suits you, whether you need a refill of eye pods for minor irritations, or a larger 500ml bottle to keep on hand in case of emergencies. The Saline Eye Washes are usually dispatched via First Class Royal Mail and delivery should be within 1 to 3 working days.